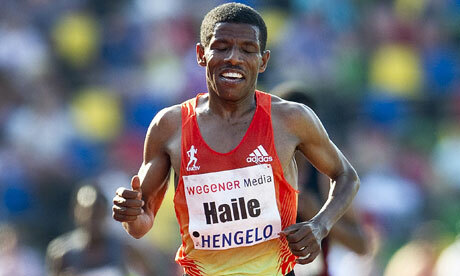 Ethiopian athletics legend Haile Gebrselassie failed to qualify for the London Olympics here on Sunday as he could only finish seventh in the 10,000 meters. The 39-year-old two-time Olympic 10,000m champion — who had already failed to post a qualifying time for the marathon — admitted his hopes had been dashed after his disappointing performance against 12 of his compatriots. “The Games in London, is over for me,” he told AFP.